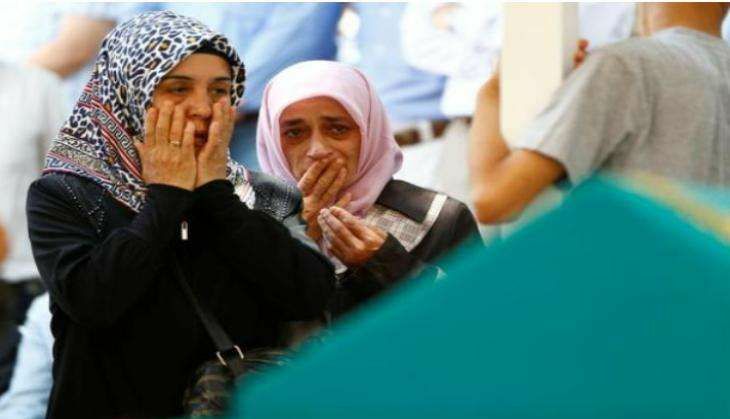 Thirty people were killed and around 94 injured when an explosion at a wedding rocked the south eastern city of Gaziantep, located about 95 kilometers north of the war-torn Syrian city of Aleppo, on 21 August. According to CNN, Regional Governor Ali Yerlikaya called the incident a "terror attack" and said it took place in Akdere neighbourhood of the Sahinbey district. Meanwhile, no group has come forward claiming responsibility for the attack, however, reports have emerged that a suicide bomber set off the deadly explosion. President Recep Tayyip Erdogan branded the incident as an attack and condemned its perpetrators. "Those who cannot overcome Turkey and try to provoke people by abusing ethnic and sectarian sensitiveness, will not prevail," he said.